ROCKVILLE, Va. (BP) — About a decade ago, Paul Chitwood became convinced God was calling him to mobilize missions and missionaries, he told International Mission Board trustees. That call culminated today (Nov. 15), he said, with his election as president of the International Mission Board. “Being a member of this board for eight years changed my ministry and it changed my life, so much so that &#91;my wife&#93; Michelle and I questioned whether God had called us to overseas missions,” Chitwood, who served as an IMB trustee from 2002-10 and chaired the board from 2008-10, said upon his election. “During that time on the board of wrestling with that call, it became clear that God’s call upon our lives was to be mobilizers of the mission and of the missionaries. And what an incredible privilege it is to have that role. To be able to now see the culmination of that role by sharing in the work of the IMB and leading the IMB is overwhelming to us,” Chitwood said. 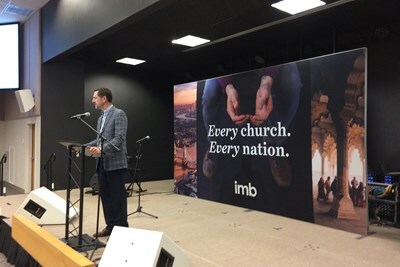 The IMB trustees elected Chitwood unanimously as the entity’s 13th president during a 20-minute executive session at the IMB’s International Learning Center near Richmond, Va. They also elected IMB interim president Clyde Meador as interim executive vice president. The results of both elections were announced in an open trustee session by Chuck Pourciau, chairman of the trustees’ presidential search committee. Announcement of Chitwood’s election, which occurred by secret ballot, was greeted with a standing ovation. Chitwood, who has been the Kentucky Baptist Convention’s executive director since 2011, announced Nov. 6 that, if elected, he would recommend a permanent executive vice president with significant mission field experience. Prior to Chitwood’s tenure leading Kentucky Baptists, he pastored Kentucky churches for 18 years. 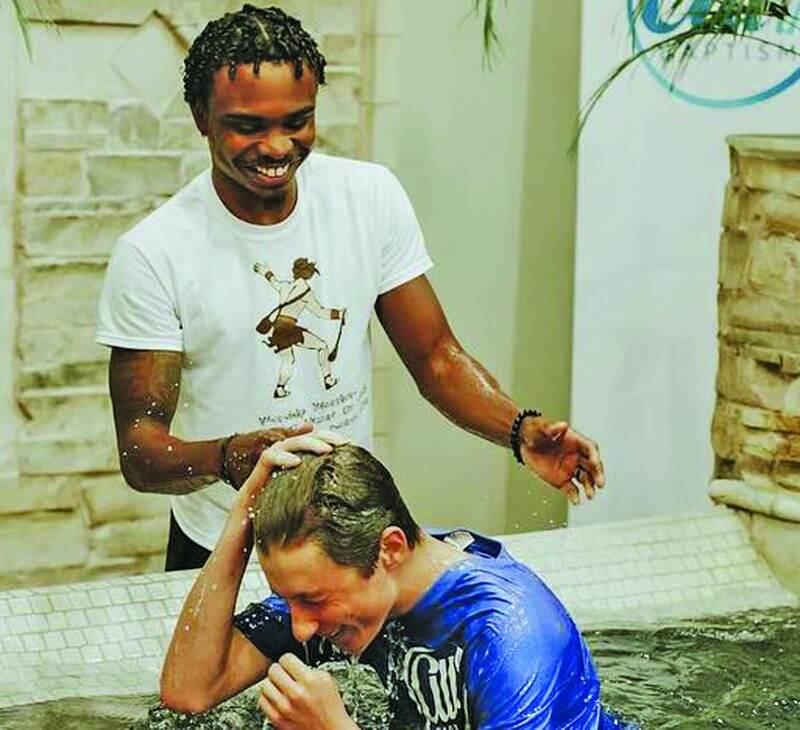 Pourciau, pastor of Broadmoor Baptist Church in Shreveport, La., said any presidential candidate “is going to be stronger on one side of the ocean than he is on the other,” having more experience in either overseas missionary service or stateside pastorates and denominational service. While Chitwood’s vocational ministry has been entirely in the U.S., the search committee “came to unanimous agreement” that he was “the man who would minister effectively and excellently on both sides of the ocean,” Pourciau said. Prior to David Platt’s tenure as IMB president from 2014 to earlier this year, every IMB president since 1945 had previous experience as a career overseas missionary. 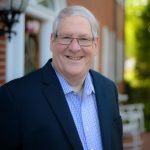 Overall however, eight of the 13 men to serve as president of the IMB, formerly known as the Foreign Mission Board, have not served as career missionaries. The last time the IMB or FMB elected a state convention chief executive as its president was 1929, when it tapped Charles Edward Maddry of North Carolina. Counting Chitwood, three state executives have served as IMB president. Chitwood inherits an IMB budget that has been balanced since 2017 but a career missionary force at its lowest levels in more than 30 years. Two years ago, trustees adopted a balanced budget for 2017 following six years in which the organization’s expenditures exceeded the gifts it received from churches by a total of $210 million. To balance the budget, the IMB downsized its missionary force and stateside staff by 1,132 individuals in 2015-16. The Southern Baptist Convention Annual reported a total of 3,596 IMB missionaries in 2016. In 2017, the number dropped to 3,563, but it increased slightly to 3,667 as of October 2018, according to data from sbc.net. “I believe it is the desire of every Southern Baptist to once again see our career mission force growing in number, and I believe that can happen,” Chitwood told trustees. “It will require, however, a greater generosity and a greater willingness to sacrifice. — “I will seek to guard” the IMB’s relationships, reputation and integrity. Among relationships to be guarded, Chitwood said, are those with SBC entities, state conventions, local associations and churches. Increased ethnic and gender diversity will be an important part of guarding the IMB’s reputation, he said. Championing the Cooperative Program, Chitwood said, is another key facet of guarding the IMB’s integrity. Two executive directors of Baptist state conventions were present for the vote: Brian Autry of the SBC of Virginia and Kevin Smith of the Baptist Convention of Maryland-Delaware. Both praised Chitwood’s election. Smith told BP that Chitwood will continue the SBC’s emphasis on ethnic diversity. 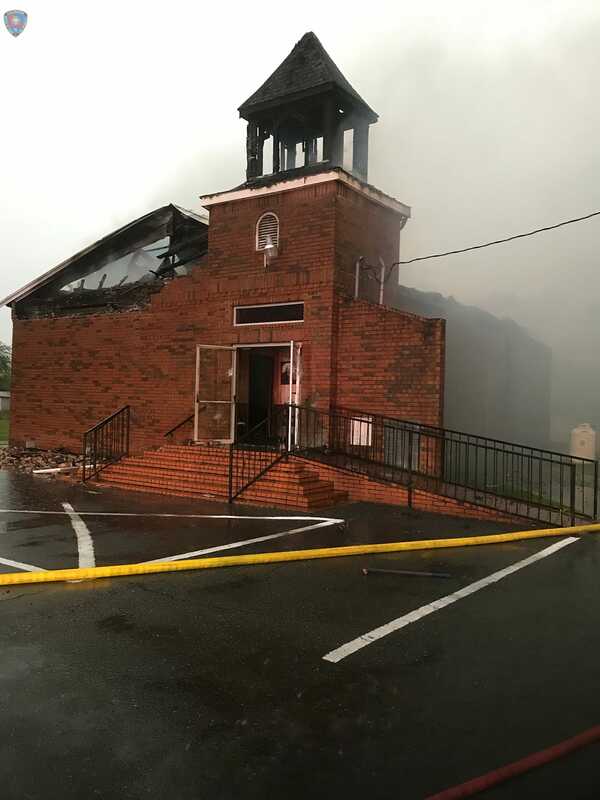 Chitwood “has done a wonderful job” in Kentucky “of engaging a variety of languages and ethnicities as regards church planting and revitalization work,” said Smith, a former KBC president. 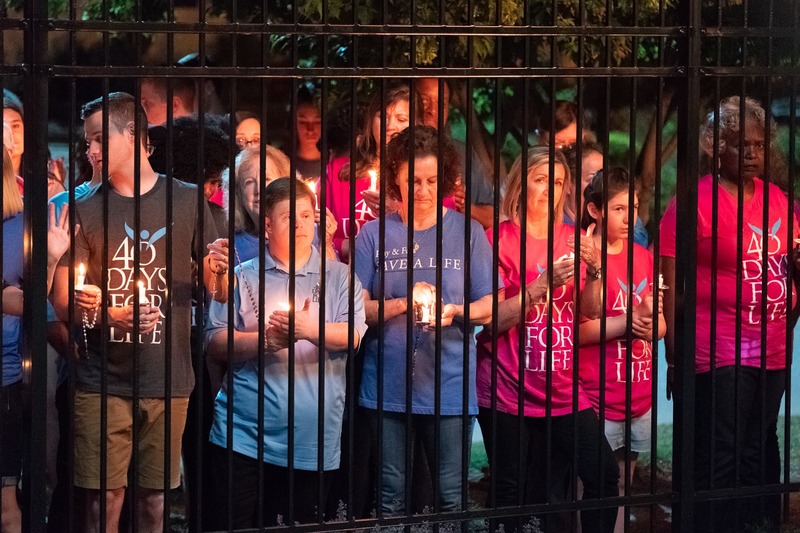 “He’s been a professor at Southern Baptist Theological Seminary, which entails dealing with students from all over the world. So I think he will continue to enhance our missionary” force’s ethnic diversity. The only other business items transacted by trustees Nov. 15 were approval of a 3 percent endowment appropriation for 2018 and approval of the IMB’s registration with a foreign nation in which the board works. The previous day, they voted in a brief plenary session to appoint 42 new missionaries. The trustee officers and executive committee met Nov. 13, and the full board met Nov. 14 in a closed “trustee forum.” The board also held various committee meetings Nov. 14-15.